If your main interest is someone who can handle after hours or urgent calls, there are a few things you may like about us. You’ll find we can differentiate between urgent and non-urgent calls, we are assertive in making sure urgent calls get through, and careful to document any actions we take meticulously. Many of our clients have us ask callers if the call is urgent or an emergency, and then handle the call differently depending on the answer. For instance, a service company might wish to have all service calls relayed, but have any other messages simply e-mailed or faxed. You can also have us ask a specific question. For instance, an IT help desk might ask us to determine priority level, and only have us relay priority 1 level calls. A medical, dental, or veterinary office might have us ask specifically if it is an emergency. Relentless Relay – We are very assertive when relaying urgent calls. We will go beyond your instructions, when necessary, to make sure the message gets through to the appropriate person. We provide a complete audit trail of our work on each message. Most business phone answering services will provide a copy of each message showing you when the message came in, when it went out, and to whom it was relayed. We will also show you every intermediate step that was taken during the relay process, including time/date stamp, operator initials, and a description of the action. A copy of all messages with this information can be sent to you automatically — by e-mail or fax — every morning. You will know exactly what we did on your behalf the night before. What’s so great about text with confirmation? When you choose text with confirmation, we text an urgent message to your on-call and they press reply and type in “OK” to confirm receipt. If the on-call person does not confirm, we will call them, then call through an “escalation list” until someone is reached. Text with confirmation offers a number of advantages. It gets the message to the appropriate person quickly. It is very convenient for your on-call person, because they don’t have to write the message down (with many phones, you can even tap the number in the message to dial it directly). 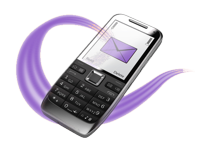 It saves money because sending and receiving texts is free. Finally, if something goes wrong and the on-call doesn’t respond, there is still a competent person that will follow through until someone is successfully reached.